Marketers have remained open to email marketing because while one of the earliest forms of digital messaging, it remains one of the most effective. In fact, Forrester Research forecasted that marketers will spend $2.3 billion on email marketing in 2015. With so much invested in email, marketers need able to evolve with the latest trends and tactics over the coming years. 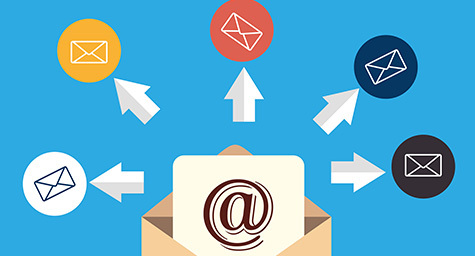 Luckily, MarketingProfs.com provided a peek at opportunities opening up in email marketing. Wearable technology may completely change the way that email marketers creatively engage their subscribers. Since the increase in mobile technology will also increase the tendency for subscribers to filter their email across multiple devices, marketers must get more creative than ever with their subject lines and visuals to order to keep recipients both opening and open to their messages. As email access continues to move from desktop to mobile devices and wearable technology, expect more and more subscribers to triage their email through these digital devices. This shift will make it more challenging for marketers to deliver messages that gain the attention and conversion of subscribers. This will require the creation of more compelling, creative messages that engage at a quick glance. Proximity and geolocation offer the ability for marketers to deliver hyper-targeted information to specific segments of customers. This will allow marketers to send the most relevant, real-time information about new products and special offers. This increases the likelihood of increasing open rates, sales, and brand loyalty. And customers appreciate that their privacy is protected because they have the choice to opt in or opt out of tracking. While one of the fastest-growing email marketing trends, long videos remain difficult to play back and stream via email. Yet when delivered creatively, video has proven extremely effective in increasing Web conversions. The best strategy seems to be including short video messages in emails and adding social media sharing buttons that let subscribers easily share your videos on various platforms. Research shows that transactional emails generate four times more revenue than promotional emails. To leverage their profit power, email marketers will need to incorporate optimized, timely, conversion-oriented content into their transactional emails and then send them to the appropriate audience segments. In 2015, predictive analytics will drive behavioral email marketing. By using a customer’s previous buying behaviors to craft compelling emails, marketers are able to develop more relevant and targeted messages that trigger conversion. Watch for new technology to make this process more automated in the future. Be open to the latest in email marketing. Contact MDG Advertising.